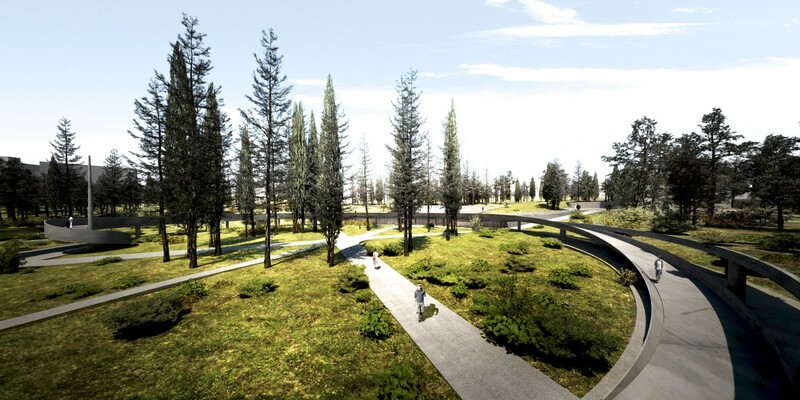 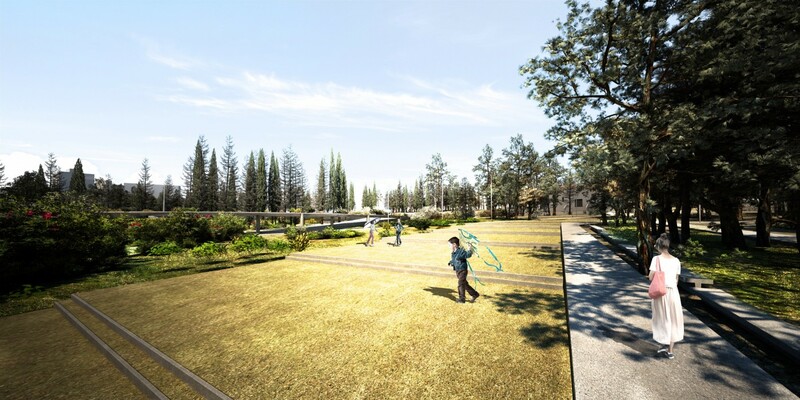 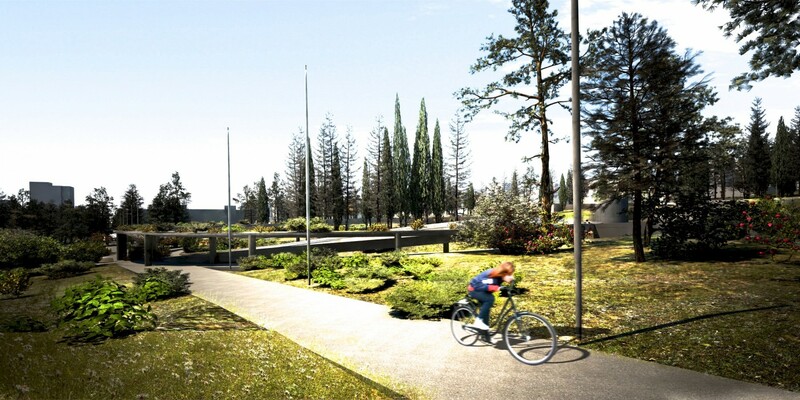 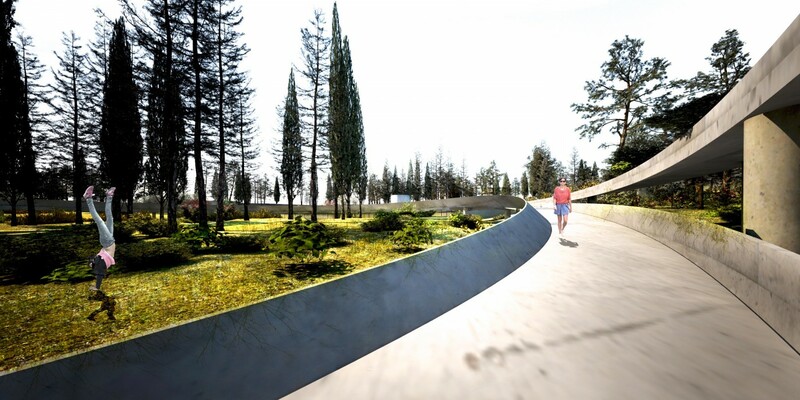 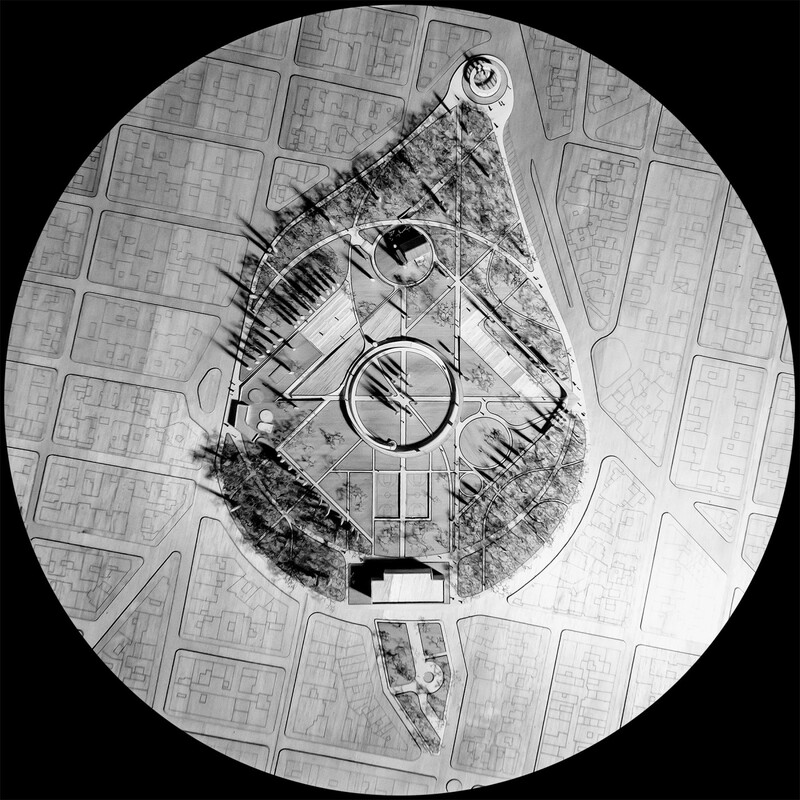 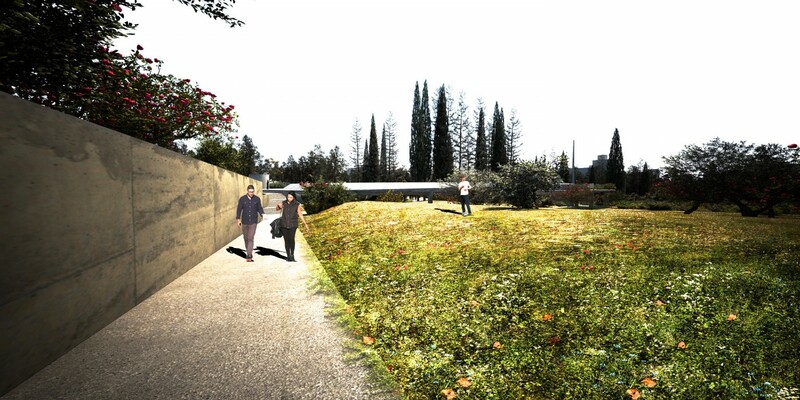 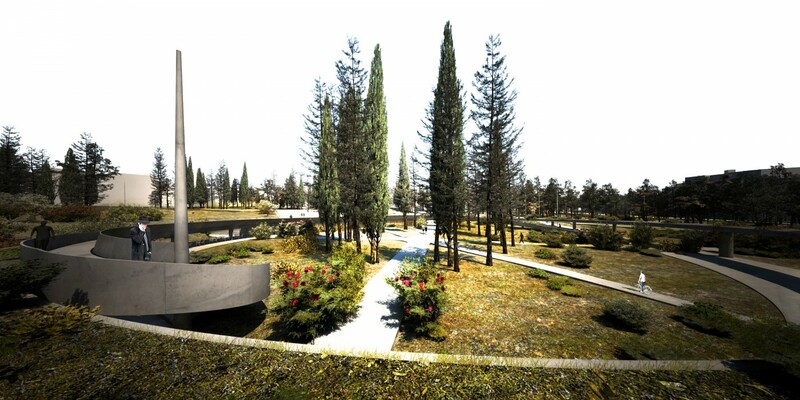 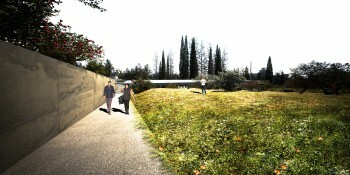 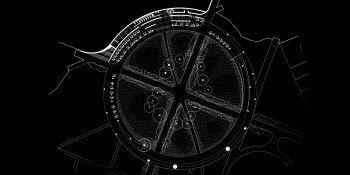 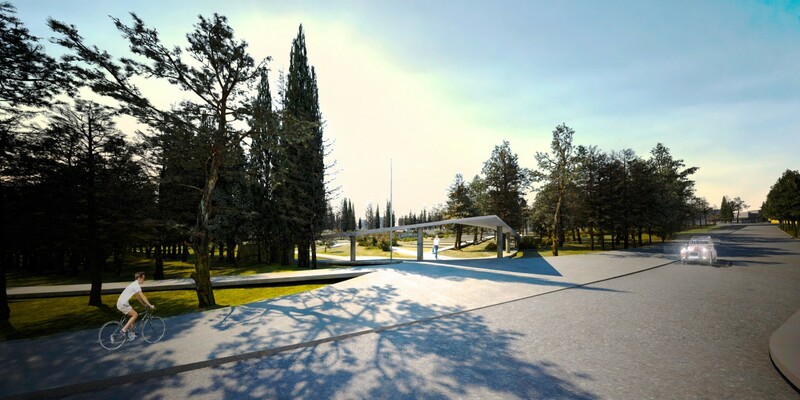 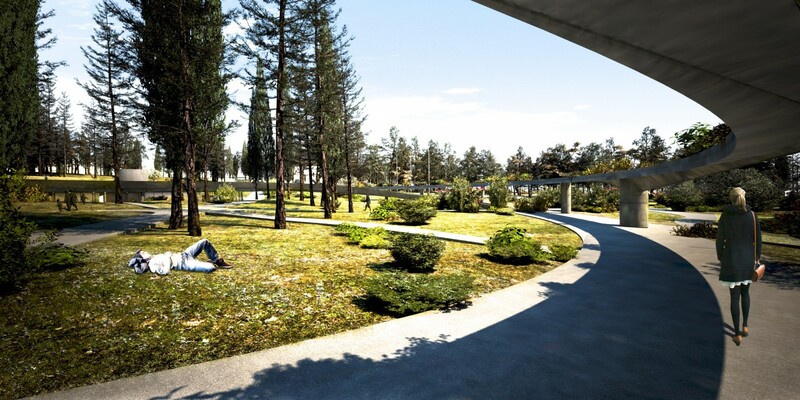 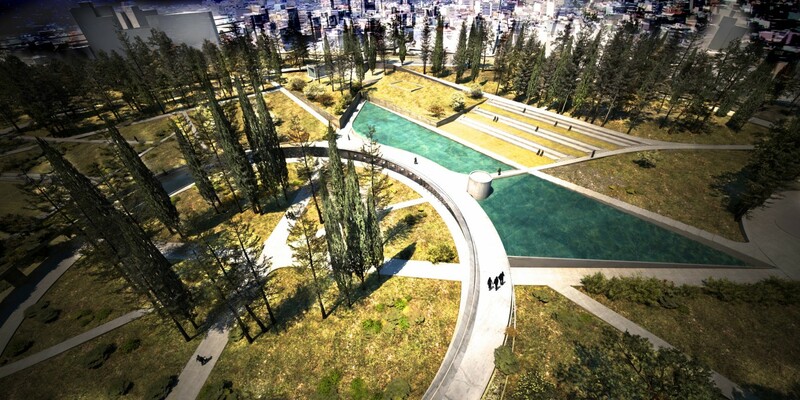 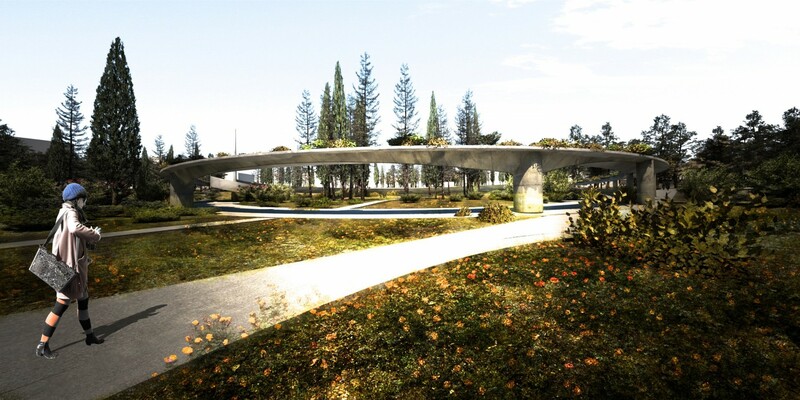 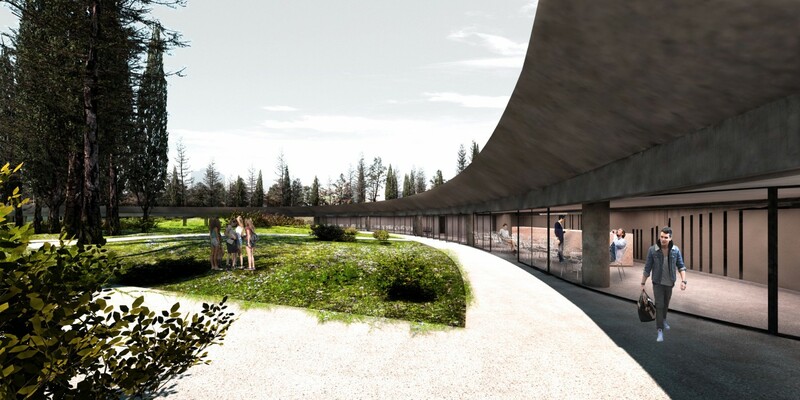 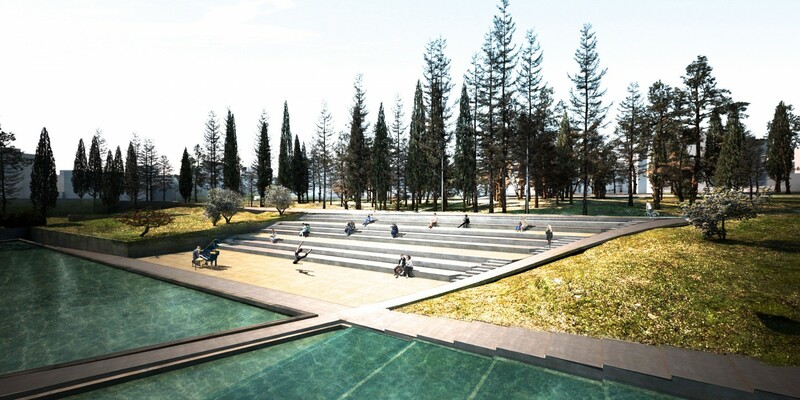 The genesis of a contemporary park through the symbolically charged ground of a former cemetery can not be considered a simple process, that handles the existing field as tabula rasa, even if the memory of the space and its abandonment would probably favor such an approach. 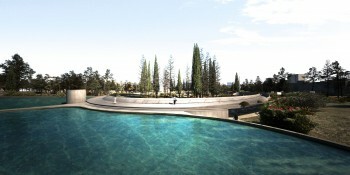 The wealth hidden in the current field must be strengthened, regenerated. 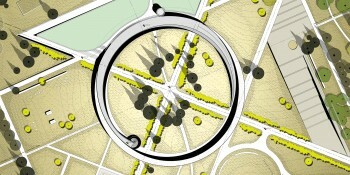 8 nodal points decode the proposed planned regeneration: Cross, Circle, Teardrop, Square, Ring, Engineering, Matter, Nature. 8 relations essentially spatial, com-posed right from the start.The predominant geometric feature of the site is the existing cross of movements – north to south and east to west. 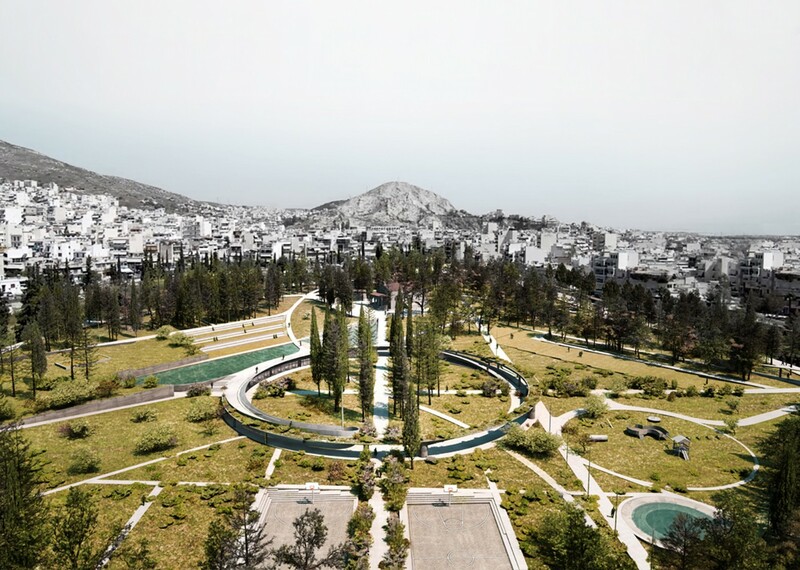 The cross is supported by the collateral planting: Cypress trees and oleanders create robust outdoor routes, shaded, attractive. 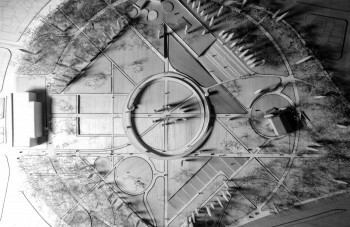 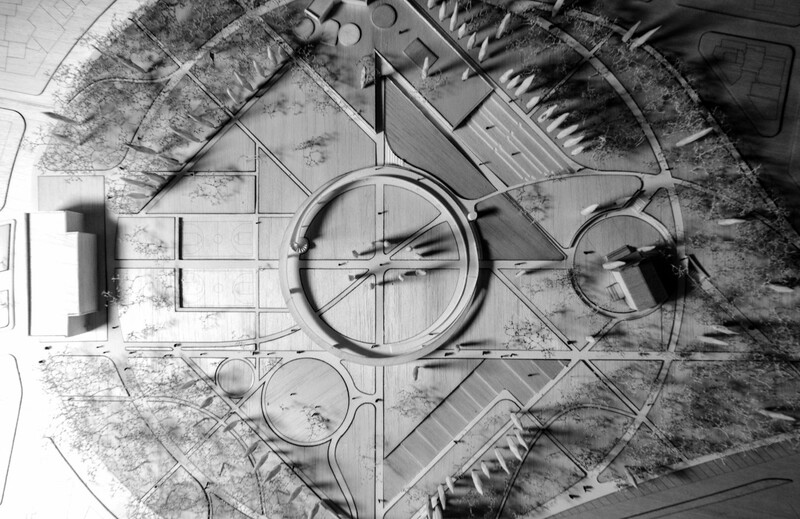 The geometry is ideally enhanced by nature: this seven decades old mighty cross is proposed to be maintained, as a dominant feature of the new park.If the cross is the most important existing geometry, the circle is the one suggested: With a diameter of 200 meters, a peripheral, 3 meters wide, movement is tangentially incised into the shape of the already cyclic field. 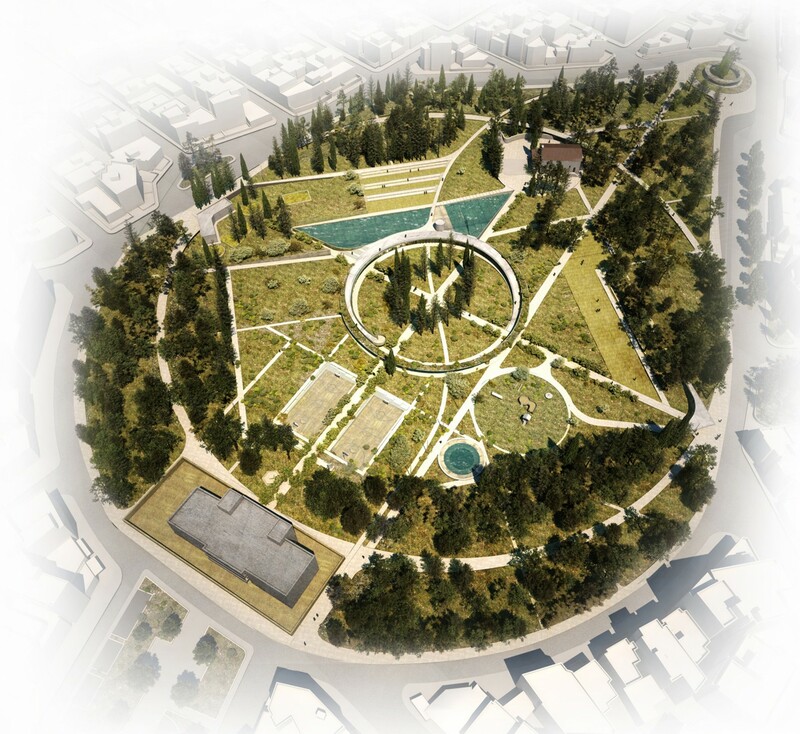 A new integrative pedestrian esplanada and one of the main routes for walking and sports activities – in contact with the four points of the cross.The already charming curvilinear field of the former cemetery welcomes the new circular engraving in a natural way, so as to invite it: The tangential to the existing `teardrop` circle defines outward areas and also the internal protected area, a large clearing. The resulting external cycloid sectors are located by default in contact with the city, with high planting, embracing the interior, creating a green filter towards the heart of the park.Strengthening the higher vegetation around the perimeter of the field creates a lower and less dense vegetation area at the interior: a clearing. With sides measuring 150 meters, its informal square shape enters the circle, while the sides facing the school are the former boundaries of the southern groves. 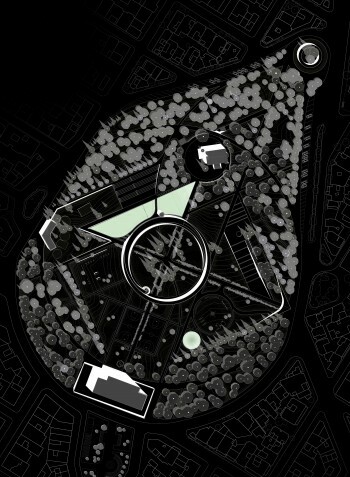 On the interior of the square, a grid of individual sites and various movements with diverse widths, creates a pulsating set of staging areas suitable for sports and leisure.Central to the composition, an elevated ring with variable width is the symbolic and functional center of the new park. 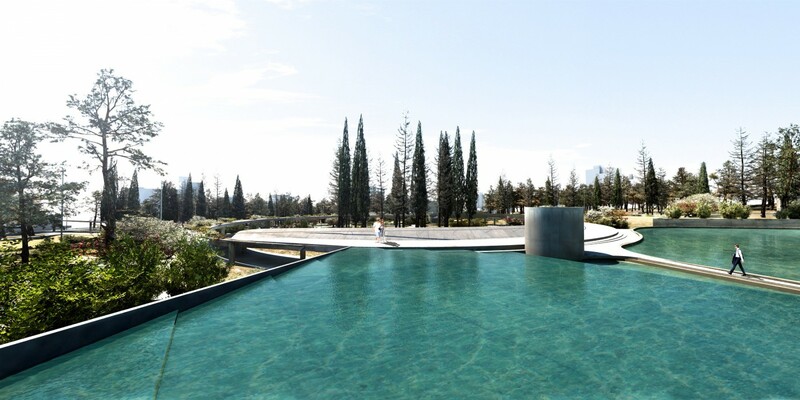 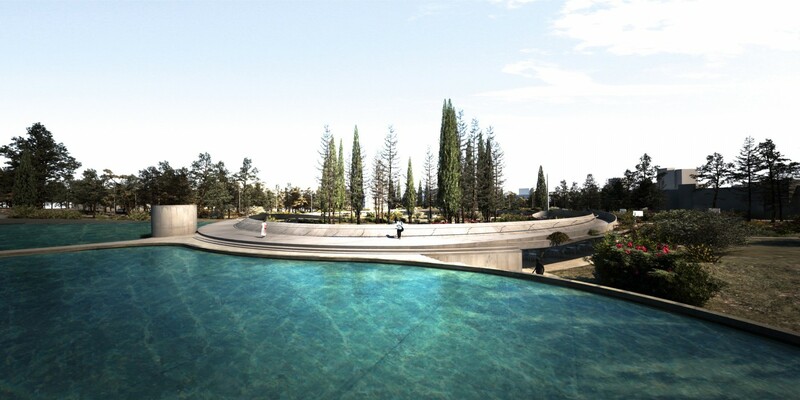 70 meters in diameter, it welcomes inside the strong high planting of the cypress trees. This new key construction has a multiple character: it hosts the restaurant and its semi-open space, offers shade, acts as a gateway from the south, while, connecting with the highest level of the park it functions as a belvedere: Over, half passable, half planted, a hanging garden.About the construction of the Ring: The structural system is composed of a slab with direct mounting on columns, is made out of reinforced concrete. The circular cross section columns are placed on a meander development at the two limit lines of the perimeter. Two of them in the southern ring entrance, are of a circular core, with a 2.00m diameter so that the opening therein can be configured to 25,00m. This grand opening -a dynamic gateway- is designed with the principle of bridges, `in cantilever construction`.The network of main routes, individual movements and paths of the park as well as the large hard-surfaces (public concentration, leisure, sport and play) is proposed to be made out of colour-processed, earthy texture materials, with a hardness rating depending on their width or their range. 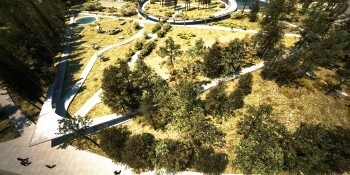 This material network, intentionally designed with graded widths in order to enter the field smoothly, cooperates with the earth`s surface that receives it, while maintaining the geometric contrapuntal relationship with it.The major area of 46 acres is by default capable of supporting the creation of not only a park, but an ecosystem. The strategy of the intervention consists of a gradual enrichment and regeneration of the existing vegetation, in order to accelerate the ecological succession: layers of escalating density and height by bulbous plants and species of low-ground covering, low and higher grasses, low, average and high bushes and high or medium-sized trees, combined in a mixed Attic grove whose perimeter remains intentionally dense and high, while the interior thinner and low -a Mediterranean garden: a forest environment – an embraced clearing.